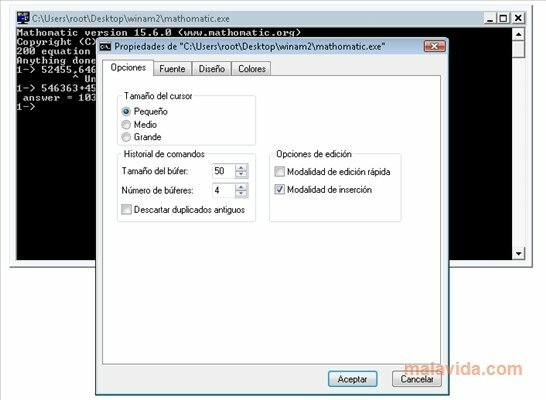 Mathomatic is a lightweight open source computer algebra system (CAS) that runs from the command line terminal written in C, that is perfect to be carried around thanks to the reduced size of the application. The program is prepared to solve, differentiate, simplify, combine or compare algebra equations. 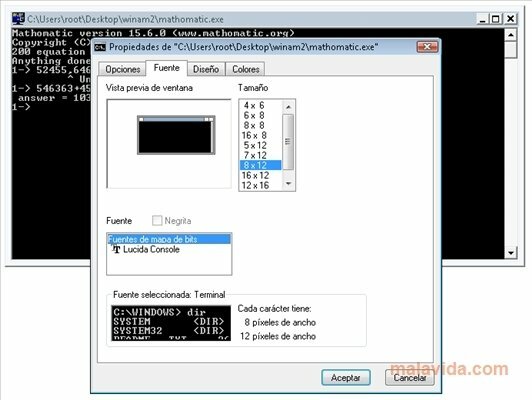 It can also be used to calculate complex numbers or polynomial arithmetic, or for certain symbolic calculus operations. Mathomatic can also be used in the field of elemental algebra with the exception of logarithms. The application doesn't require any installation. You will simply have to extract the file and launch it. Despite working from the command line terminal, it is rather easy to use if you have any knowledge about the field of basic algebraic notation. Mathomatic stands out when it comes to solving problems, differentiating and simplifying. It's capable of completing accurate symbolic-numeric calculations with up to 14 decimals, more than enough if your purpose is any other than high precision operations. Download Mathomatic for free and thus obtain help for your algebraic calculations.